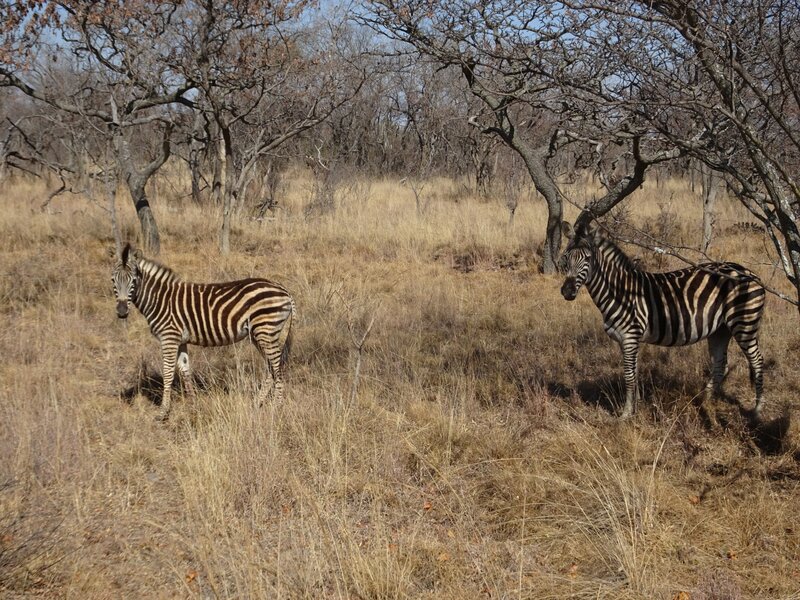 In this blog In The Saddle’s Imogen Brown tells us about her visit to Horizon in South Africa. “Having heard so many wonderful things about this riding holiday it was with great anticipation that I headed off to South Africa to begin my adventure in October 2018. My Horizon experience began with two wonderful nights at Camp Davidson; Horizon’s tented camp, which is where you stay for the first four nights of the African Explorer. 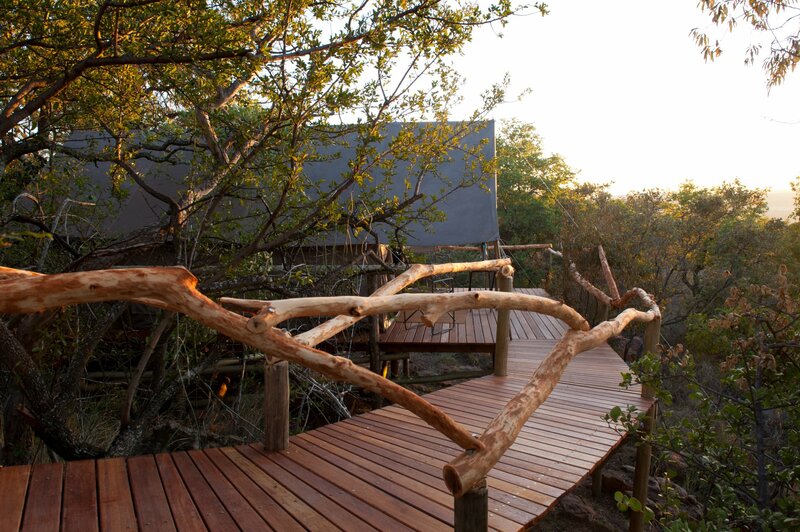 There are five canvas tents kitted out with comfortable made up beds and en-suite bathrooms with flush loos. Each tent is nestled amongst sandstone ridges on decking with wonderful views down the valley and beyond. Utter bliss. My tent at Camp Davisdon. I was met by Owen, one of the lead guides at Horizon, and Sophie, a volunteer. They showed me to my tent and around camp before settling around the fire with a gin and tonic. Camp Davidson has a warm and welcoming atmosphere, good company, incredible food and help yourself drinks, both alcoholic and non-alcoholic. I very quickly felt at home. After a wonderful three course meal and great conversation it was soon time to head to bed. Tomorrow I would meet my horse for the next two days and I was excited to see who I had been matched with. Wake up call would be at 7am with a cup of tea (or coffee if you prefer) with breakfast served half an hour later. Shox, my first horse at Horizon. After a delicious breakfast I was introduced to Shox, a beautiful 14hh Boerperd mare. I couldn’t wait to climb on board, head off into the South African bush for the day and see what this pocket rocket could do. 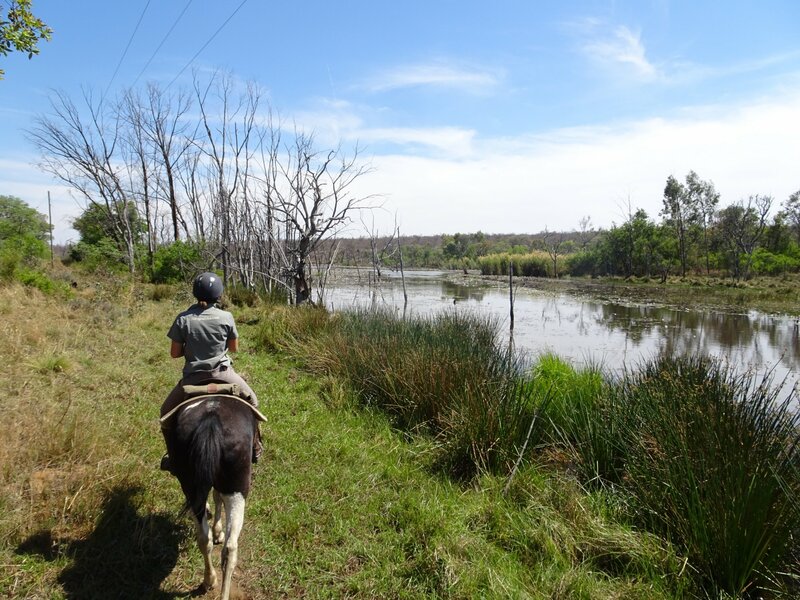 As we were setting off Owen informed me that we were off on a full day ride to Bellevue Plains reserve, a neighbouring property where they have lots of game including giraffe, blessbok, zebra, wildebeest and red haartbeast. Shox was brilliant, forward going at all paces with a wonderfully smooth canter. It wasn’t long before I had a massive grin glued to my face. 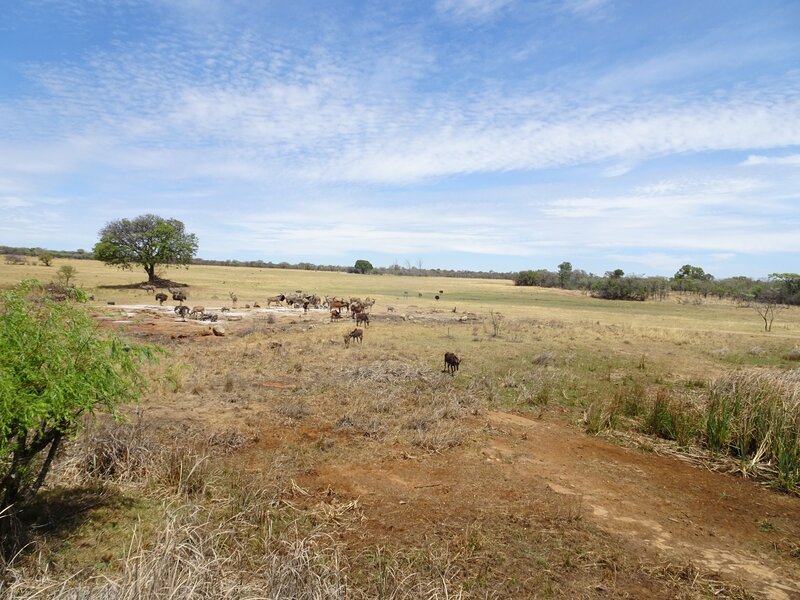 Animals grazing at Bellevue Plains Lodge, a neighbouring property of Horizon. My first day flew by and I couldn’t believe that it was already time to return to camp. After untacking and settling the horses for the night I just had time for a hot shower before dinner. Tonight we were treated to a Braai which was a real treat. A Braai is traditionally a big social event where dinner is cook over an open fire and it was a wonderful evening. With a delicious soup cooked in the fire to start followed by steak, beef sausages, corn on the cob, creamed spinach, chutney and sauce I was stuffed even before they brought out the bananas and chocolate sauce. It was with a full and content stomach that I went to bed, no wonder I slept so well! 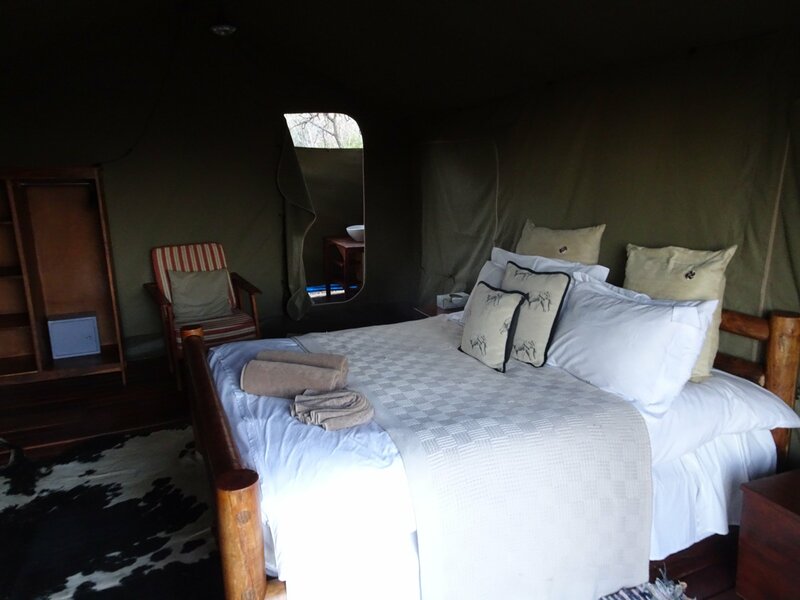 The tents at Camp Davidson have lovely comfy beds and en-suite bathrooms. The next morning we mounted up and headed down towards the lodge as some of the guests I was with were leaving. As we left Camp Davidson, we met up with another ride being led by Shane, one of the owners of Horizon. 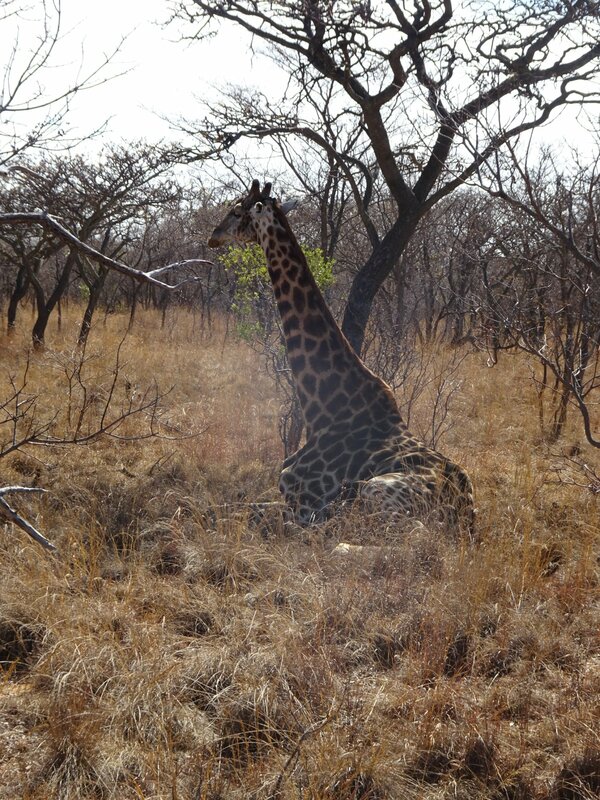 Seamlessly I joined up with them and the rest of my group disappeared into the bush. Throughout the morning we encountered a variety of plains game including zebra, kudu and Frank the giraffe who was fast asleep right next to the trail. Morning rides at Horizon are roughly three hours long and afternoon rides about two hours. Each day you get to explore the myriad of trails that criss-cross the ranch. The trails are perfectly designed for riding and just brilliant fun for a canter. If only we had such great footing on our trails at home! Each morning and afternoon I got to try a different member of their 80 strong herd of horses. Some were calm and steady, some were quirky and challenging and some a brilliant balance of both. There really is a horse for everyone at Horizon. You’ll find a variety of terrain at Horizon. As we arrived at the Horizon lodge after our morning ride, I was struck by just how pretty it was. 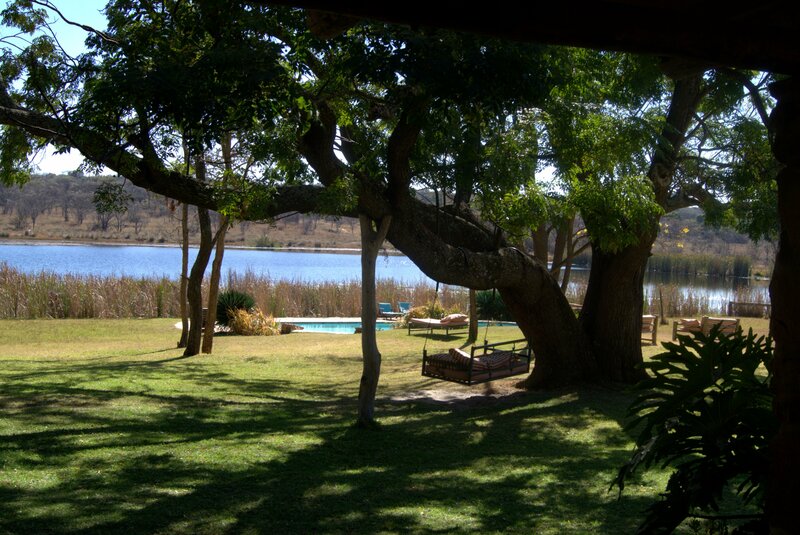 Across from the main yard was the dining area and veranda with wonderful views out over the dam. Clustered nearby were the rooms, all beautifully decorated with lovely views of the gardens and on to the lake. Here you can often see hippo bobbing around or the horses having a swim to cool off in the heat of the afternoon. Lunch at Horizon is a very social affair with a table in the gardens laden with food for you to help yourself. 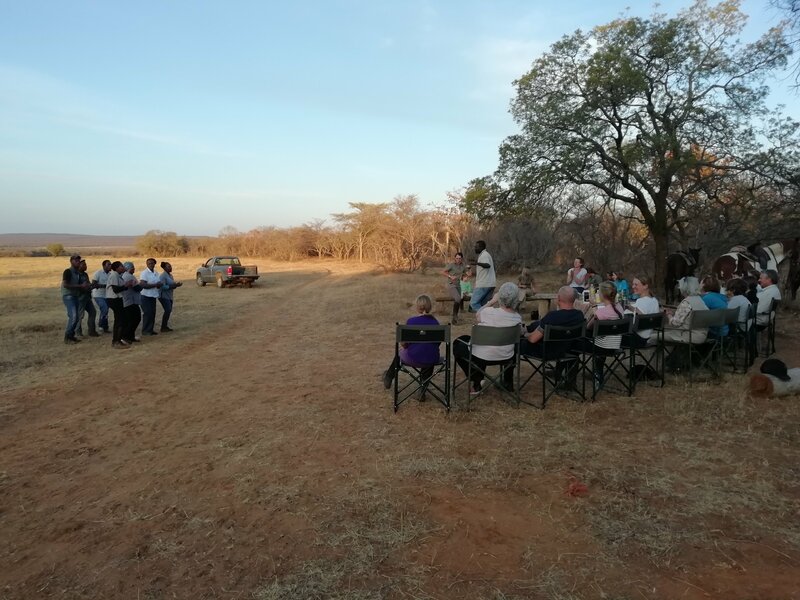 All guests, guides, volunteers and hosts come to enjoy a delicious meals and to chat about the morning’s adventures, favourite horses so far and stories of far flung places and adventures. The children regaled us with stories of their polocrosse adventures from that morning, of how we must try swimming with the horses and how they couldn’t wait to try western games that afternoon. All of these activities are available to try during a stay at Horizon and I was lucky enough to swim with the horses twice. I’ve never tried anything like it and couldn’t recommend it more. It’s the perfect way to cool off both yourself and your horse after a hot morning ride. I couldn’t believe how quickly my time at Horizon had flown by as we mounted up for our last afternoon ride. It was hard to believe that tomorrow I would be on a plane heading back to the UK. 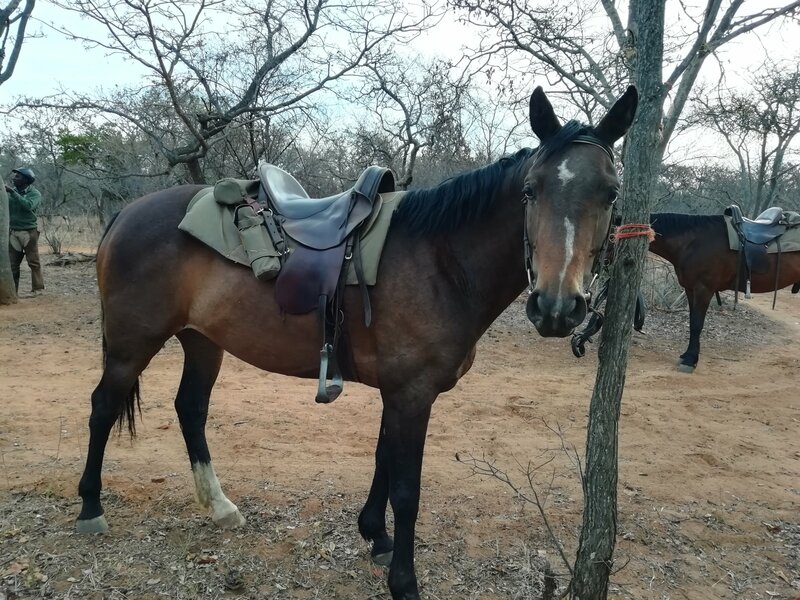 I pushed those thoughts to the back of my mind as myself and my steed for the afternoon, India, headed off into the bush with our guide Shingai. Curious Zebra came to say hello. After some wonderful canters and fabulously close encounters with zebra and a curious warthog, Shingai informed us that he had a surprise for us up ahead. Having peaked our interest, we went for one last canter before rounding a corner and coming across a gathering of people. “SUNDOWNERS” Shingai exclaimed as he told us to dismount and tie up our horses. Before long the other two rides appeared, drinks were handed out, the Horizon choir began their wonderful singing and we were all encouraged to get up and dance. Far too soon the sun set and it was time to get back on board and head back to the lodge. After untacking and turning out the horses there was time for a quick shower before dinner. Sundowners on my final evening were a wonderfully social affair. The day I had been dreading had finally arrived, it was time to pack up my things and head back to the UK. As I was booked onto an evening flight there was time to squeeze in one more morning ride and a quick dip in the lake with the horses before lunch. It was with a heavy heart that I said my goodbyes. I’d had the most amazing time and I now understood why so many people fall in love with Horizon. I can’t imagine it’s too long before I make a return visit! If you would like to find out more about Horizon please contact Imogen on +44 1299 272 242 or email imogen@inthesaddle.com.